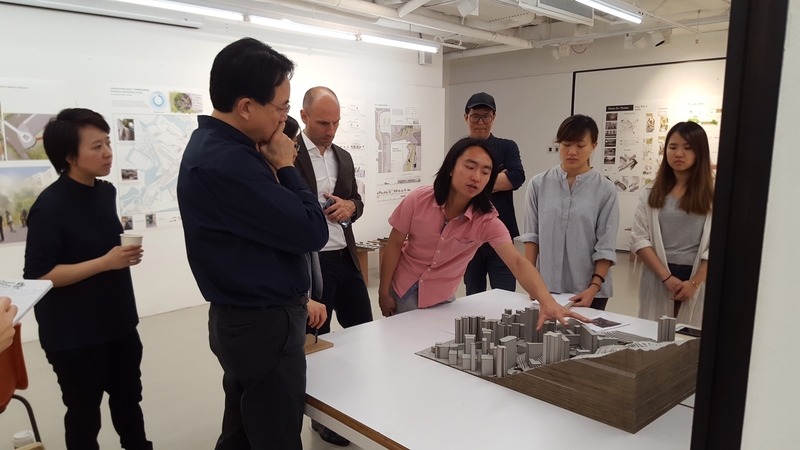 The studio examines the relationships between people and the built environment in the city. 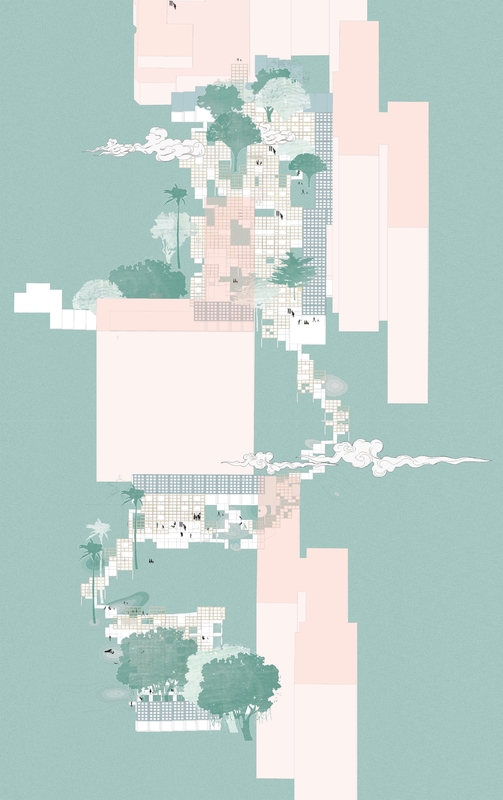 Though there are a number of types and conditions of open space within Hong Kong that together construct the public realm, this studio focuses on public space as it is manifested in large public housing estates. 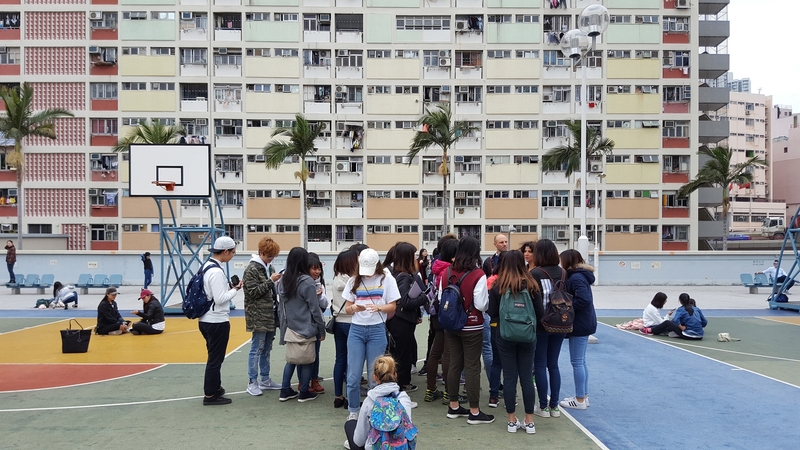 The public-rental housing estate is the ‘everyday’ urbanism for nearly 1/3 of Hong Kong’s population. During the heyday of the housing programme, from the mid-1970’s to late 1980’s, these estates were massive and often planned as self-contained cities designed to include a full spectrum of public amenities for modern life. 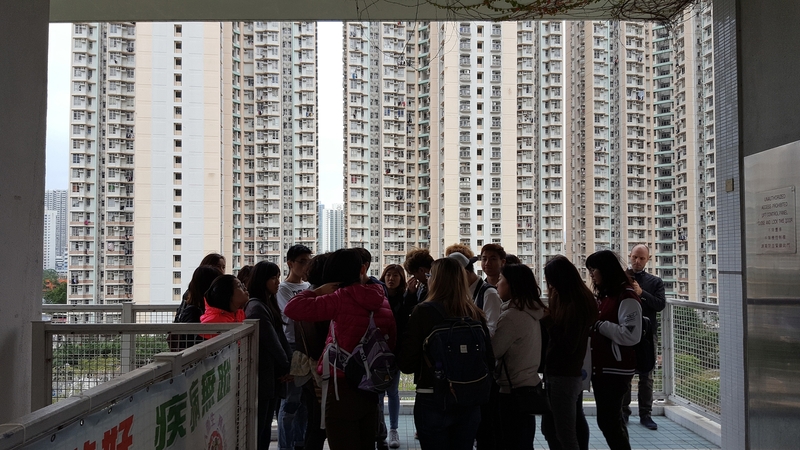 And yet the landscapes of these and other public housing estates are often brutal reminders of how design can fail to serve, or engage with its community. 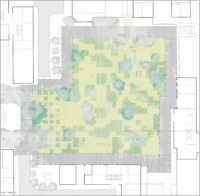 Through a series of exercises, students developped a critique of these designed spaces and formulated their own position on the role of the landscape architect in constructing the public realm. 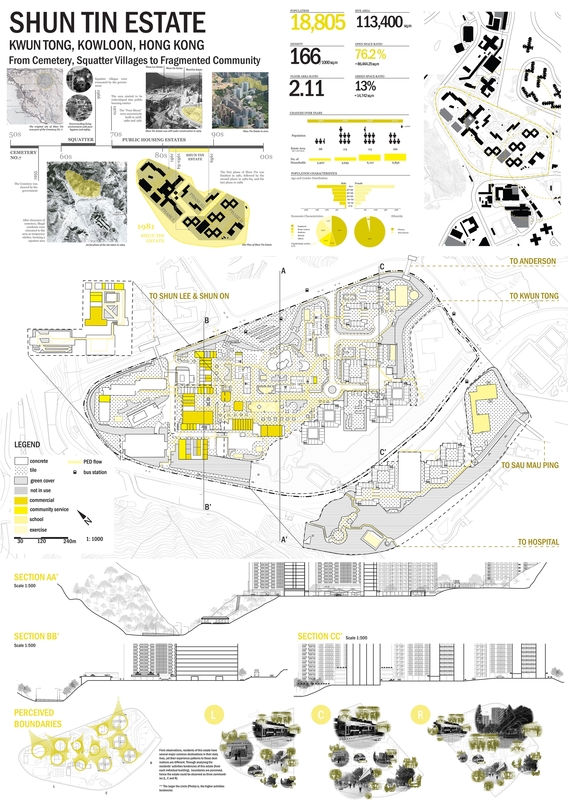 In the first exercise, students analyzed and documented the public realm of public housing in relation to the ‘outside’ forms of public space. 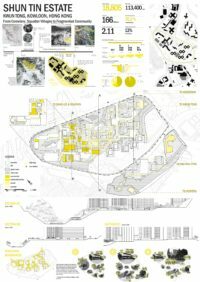 Focusing on the estate in particular, they investigated the spatial, ecological and social actors and relationships experienced in a public housing development. 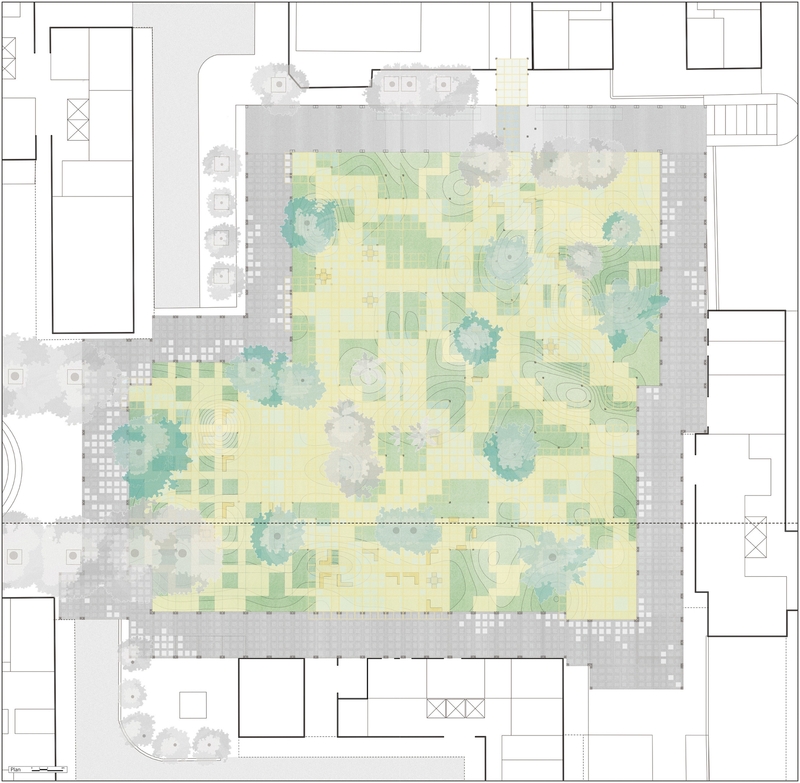 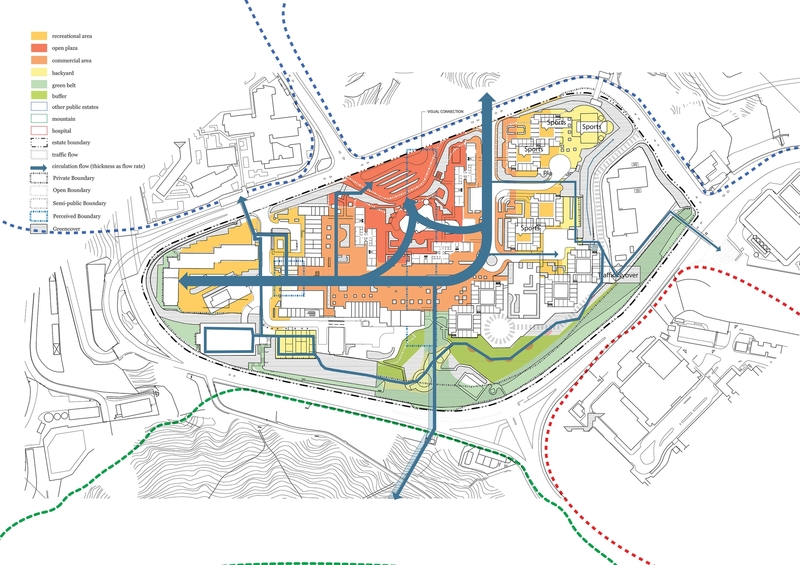 In the final project, students developped design strategies to renew a landscape within a public housing estate.